Beating addiction has never been easy. 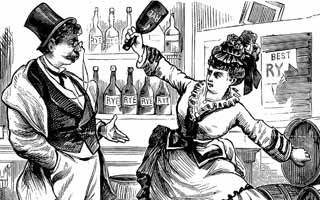 The American Temperance Society is founded in Boston. Within 10 years, 1.5 million people pledge to abstain from alcohol. Freud begins prescribing injections of cocaine, which he describes as a “magical drug,” to patients suffering from pain and depression. American physicians Arthur Light and Edward Torrance try, and fail, to identify physiological reasons for the withdrawal pains morphine addicts experience. Akron surgeon Bob Smith and New York stockbroker Bill Wilson, both alcoholics, found Alcoholics Anonymous in Akron, Ohio. Methadone is introduced to the United States as an analgesic, but doctors quickly tap into its potential as a treatment for heroin addiction. The number of illicit U.S. drug users peaks at 25 million, according to the National Household Survey on Drug Abuse. Researchers at King’s College in London find that people with a specific genetic variation in their dopamine transporters are 50% more likely to become cocaine addicts. The FDA approves an anti-addiction drug for smokers, Chantix (varenicline). The pill partially stimulates nicotine receptors to ease withdrawal symptom. Addiction significantly alters the brain, drawing drug users into its irresistible chemistry. Treatment, then, can’t just block the high. Some patients who take dopamine-boosting drugs to alleviate Parkinson’s symptoms exhibit behavior more fitting for drug addicts. Learning why could help doctors better understand addiction.